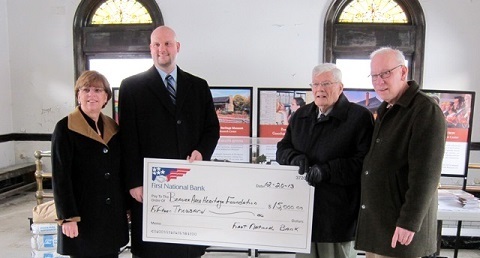 HERMITAGE, PA – March 20, 2014 – First National Bank of Pennsylvania recently made a $15,000 commitment to the Beaver Area Heritage Foundation through the Neighborhood Assistance Program (NAP) offered by the Pennsylvania Department of Community and Economic Development. The Heritage Foundation, with strong support from Borough of Beaver, has undertaken a $2.3 million capital campaign to restore and convert the former Pittsburgh & Lake Erie Railroad (P&LE) passenger station into a multi-use cultural and community events center, known as Beaver Station. “We are grateful for First National Bank’s contribution to this preservation and community enhancement project, as well as their commitment to the quality of life here in Beaver County,” said David O’Leary, Chair of Beaver Station Steering Committee. First National Bank, founded in Western Pennsylvania 150 years ago, routinely supports community organizations, both with financial contributions and with employee volunteerism. Last year, First National Bank employees volunteered approximately 12,000 hours of their personal time on behalf of community organizations. The NAP programs are designed to promote community participation and collaboration among residents, nonprofits and businesses.  Eligible neighborhood non-profits can apply for tax credits based upon pending contributions from for-profit companies.